Home Occupational Therapy Services was established in 1982, and has since grown to become a highly regarded Occupational Therapy service in the Perth metropolitan area. Home Occupational Therapy Services has expanded to provide additional speciality services under the Occupational Therapy Services Group. 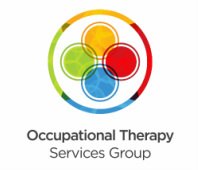 Our team of Occupational Therapists have over 85 years of combined clinical experience, and consists of seven dedicated therapists with specialty skills in Home and Environmental Assessment; Community Rehabilitation; Falls Prevention; Driving Assessment and Rehabilitation; Neurological Assessment and Rehabilitation; and Consultancy Services. All of our Occupational Therapists are experienced in their areas of work, & conduct thorough and comprehensive assessments combined with client centred intervention. At Occupational Therapy Services Group we enjoy the challenge our work provides to us, and enjoy helping to maintain people safely & independently in the community. We believe our work incorporates the multi-faceted skills required in Occupational Therapy, in order to meet the diverse needs of different individuals. We also believe that as Occupational Therapists, we have a unique and valuable role in enabling people to cope, and maintain their independence and activity level within the community. Our main clinic is located in Leeming, with services provided throughout the Perth metropolitan area. We also visit various rural regions on a regular monthly basis to provide our range of specialty services to local communities (including Bunbury/Busselton, Geraldton, Kalgoorlie & Albany). If you are unsure - give us a call and we'll help to locate a therapist in your local area! We are passionate about Occupational Therapy and achieving the best outcomes for our clients. All of our therapists are registered with the Australian Board of Occupational Therapy, and are members of relevant professional bodies including the National & State OT Associations. We conduct continuous professional development to ensure the highest level of services to our clients, and regularly share our skills with other therapists & students through seminar across WA. © Occupational Therapy Services Group 2014. All rights reserved.